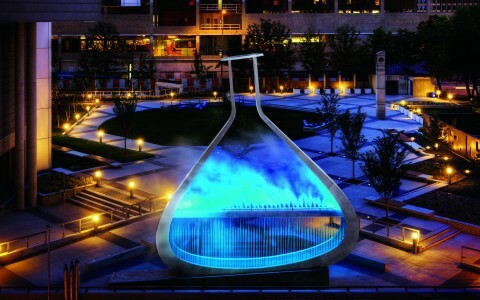 Artist Douglas R. Taylor used Lumenpulse's Lumenbeam Large Color Changing fixtures to illuminate his sculpture, Pioneer Spirit. 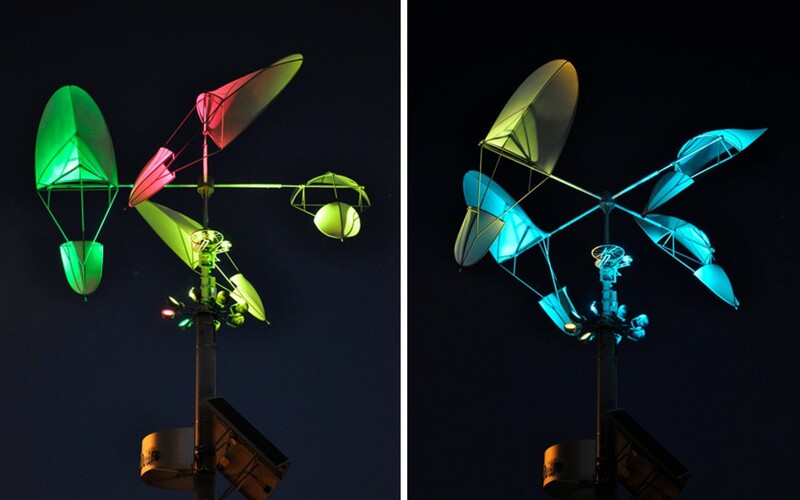 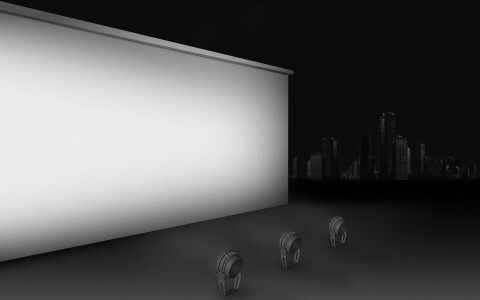 Commissioned by the City of Coquitlam, the sculpture uses wind, sun, live sound, audio art and historic recordings to honour the 100th anniversary of French Maillardville. 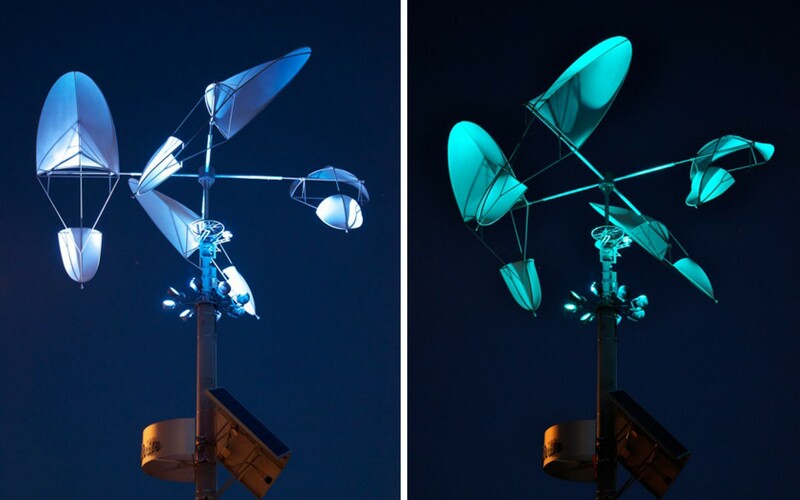 In an eco-friendly twist, the sails and solar panels are designed to generate power to be sold to the local electric company. 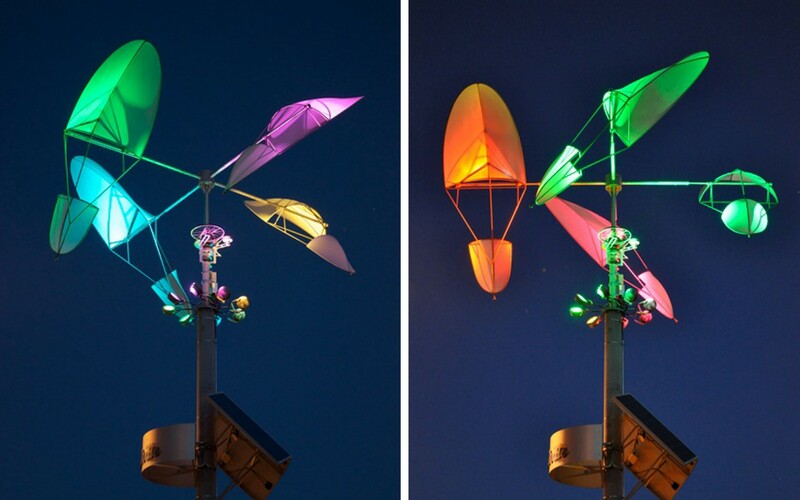 The artist used 8 high performance Lumenbeam Large Color Changing fixtures, mounted to a central pole to illuminate the sails above. 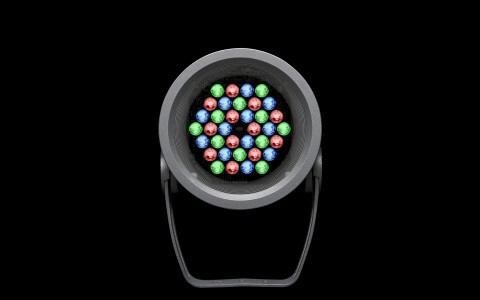 Using 50W per luminaire the fixtures apply dynamic color to the structure using RGB color mixing.